Four members of the Bharatiya Janata Party (BJP, the Hindu ultra-nationalist party) arrested. Bishop of the Archdiocese of Guwahati: "regrettable accident. The contribution of the Salesian apostolate to education is well recognized by all religions in the State ". Mumbai (AsiaNews) - A statue of Don Bosco was found in theBharalu river , near Guwahati, the commercial capital of the northeastern state of Assam. The monument was to be unveiled to the public on August 7. 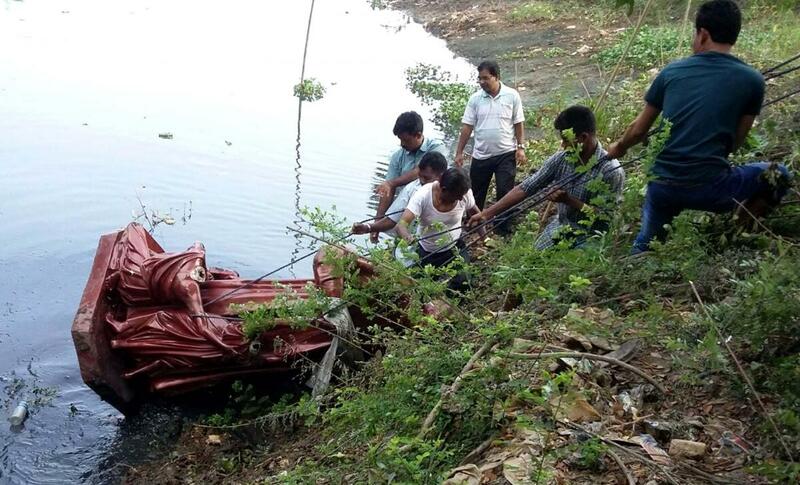 According to early rumors, a group of "unbelievers" vandalized the statue and threw it into the river a few hours before the ceremony, attended by Tarun Gogoi, chief minister of Assam. On the evening of 6 August, the statue of Don Bosco had been placed on a pedestal on the shore of Bharulu, a tributary of the Brahmaputra, one of India's holy rivers. Police arrested four members of the local branch of the Bharatiya Janata Party (BJP, the Hindu ultra-nationalist party) at 8 the following morning. A few days before the student wing of the BJP, the Akhil Bharatiya Vidyarthi Parishad (ABVP), had protested against the installation of the monument. Msgr. John Moolachira, archbishop of Guwahati, tells AsiaNews: "The contribution of the Salesian apostolate to education is well recognized by all religions in Assam, and a significant percentage of the population was emancipated thanks to them. This incident is unfortunate and some elements are responsible. Disagreement and dissent must be seen in a positive light, but to desecrate and then throw [the statue] into the river wounds our religious sentiment".